Avoid the China visa blues on this convenient Shenzhen day trip, with prearranged group visa, that introduces the amazing ethnic diversity of mainland China. Learn about China’s minorities at the Splendid China Park, the China Folk Culture Village, and the Shenzhen Museum of History and Folk Culture, and feast on a dim sum lunch at the Shangri-La hotel. 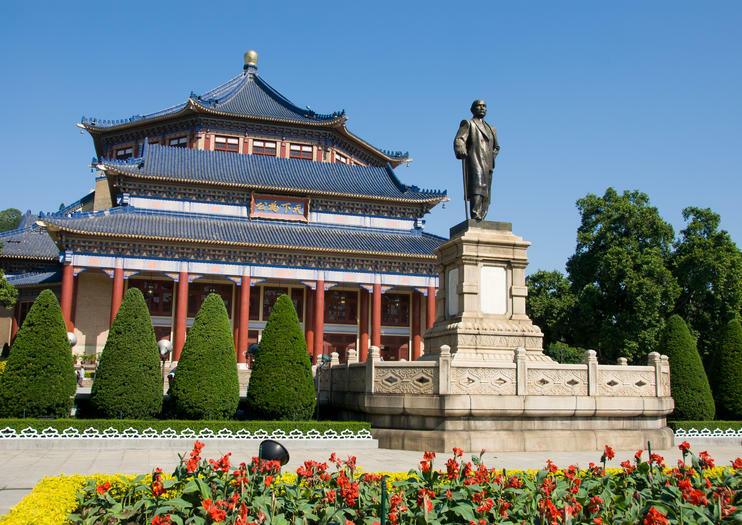 Enjoy the best of both worlds on this independent 7-day tour of Hong Kong, Guangzhou and Macau, with guided sightseeing tours of each location, plus plenty of free time and flexibility. Admire the iconic Victoria Harbour skyline of Hong Kong, cruise along the Pearl River delta in Guangzhou and discover Macau’s UNESCO-listed landmarks, including the A-Ma Temple and the Ruins of St Paul. This action-packed tour includes 4-star accommodation with breakfast, private transfers and transport by train and ferry. Gain a better understanding for Chinese cultures on this 12-hour day tour to Shenzhen from the Kowloon area of Hong Kong. With help from your guide, make your way from Kowloon into Shenzhen by crossing the border on foot. Spend three hours exploring the Shenzhen Museum of History and Folk Center before taking a one-hour lunch break of your choice. Afterward, get three more hours to wander the China Folk Culture Village. Cover ground you couldn’t hope to cover independently as you explore Guangzhou’s green lungs with a private guide and driver. Ride a cable car to the top of Baiyun Mountain, explore the Mingchun Valley aviary, then feast on a Cantonese dim sum lunch. Fortified, discover two symbols of the city: the Five Ram Sculpture in Yuexiu Park, and the Museum of the Western Han Dynasty Mausoleum of the Nanyue King. The city of Shenzhen in China is a top day trip destination for many in Hong Kong, due to its popular shopping malls and less-stringent VISA controls. Discover the city on a day tour, benefiting from round-trip transfer from your hotel for a seamless experience. Along the way, tick off city attractions including Li Chi Park, the Meridian View Center, and Lo Wu Shopping Mall, and avoid hidden costs with lunch and your group VISA included in the price. Take the newest bullet train from Hong Kong to Yangshuo for weekend, Yangshuo is only 3 hours and 20 minute away by train. This package is inclusive of round trip 1st class train tickets, hotel transfers and accommodation in Yangshuo. Discover the highlights of Guangzhou and Macau over five memorable days on this action-packed tour from Hong Kong, including a ride on the historic Kowloon-Canton Railway. Enjoy a guided coach tour of Guangzhou, then visit Shamian Island and admire the illuminated skyline with an evening cruise along the Pearl River. Next, explore the UNESCO-listed historic center of Macau, including the A-Ma Temple and the Ruins of St Paul, then take in the views from the Macau Tower. This independent tour includes accommodation, transport and some meals.